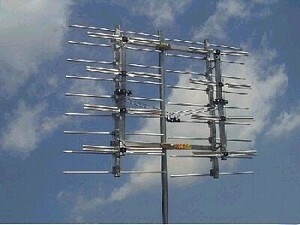 As television sets and programming choices become more and more advanced in the modern world of satellite television and other viewing options, few people tend to think that the need for an antenna system remains high. However, for people who live in certain parts of San Diego County, having the proper antenna system is nothing short of essential when it comes to television viewing and to basically remaining informed. Unfortunately, many people really are unsure of where to turn when they recognize the need for a proper antenna system, as this is not a product that is prominently advertised in today’s world of television and its related products. However, people who do encounter this need do have a partner in waiting when they seek out a San Diego TV antenna system from the professionals at Custom Antenna Systems. Below you will find a brief introduction to our overall approach to this need when it’s presented to us by a customer. The first step our team of San Diego TV antenna system professionals takes when we talk with either a potential new customer or a loyal existing customer is to listen to what their needs are as they relate to their current setup. Listening at this juncture only helps us to gauge what could be the most helpful for a television owner as he or she prefers to enjoy this medium. When we feel that we have gathered the information we need from someone with regards to his or her television viewing preferences and setup, we begin the process of providing options to that person so that he or she can understand the potential choices involved. This is an ideal that we always work to uphold, as we want the people we work with to understand that this is an interactive, collaborative process. Of course, everyone who works with us has some sort of a budget in place that they need to work within in order to improve their television viewing experience as much as possible without taking on unnecessary financial risk. Our team of San Diego TV antenna system professionals has a wide variety of choices and approaches that will allow us to work within almost any budget. This is one of the many ways in which ways in which we have managed to earn such a high degree of loyalty with people all over the county for more than 30 years. Finally, when a choice is made, we waste no time in getting down to work. We pride ourselves in the quality of the workmanship we provide, and we will not stop working until we have successfully completed what we said we would complete before we started. This is the least that we owe anyone who trusts us with this need. If you are ready to learn more about what our team of San Diego TV antenna system professionals can do for you, contact Custom Antenna Systems today to learn more.